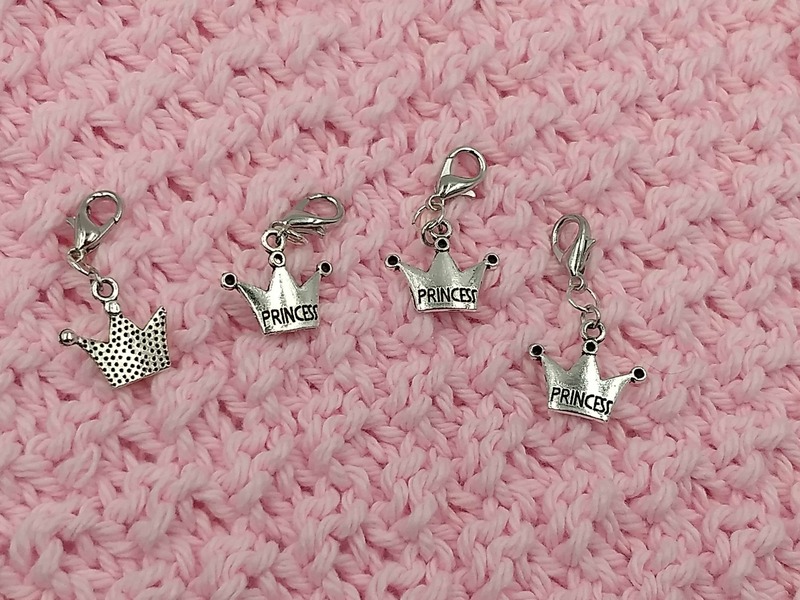 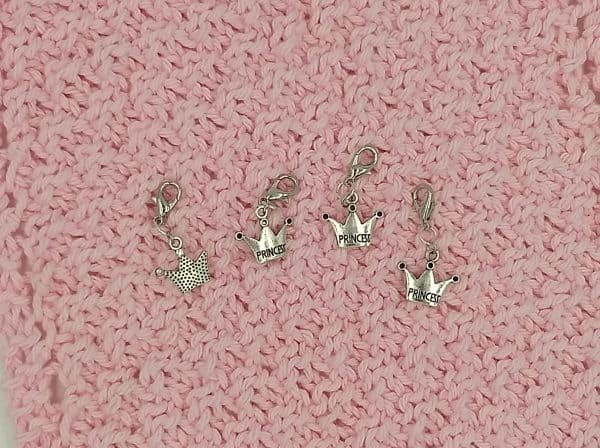 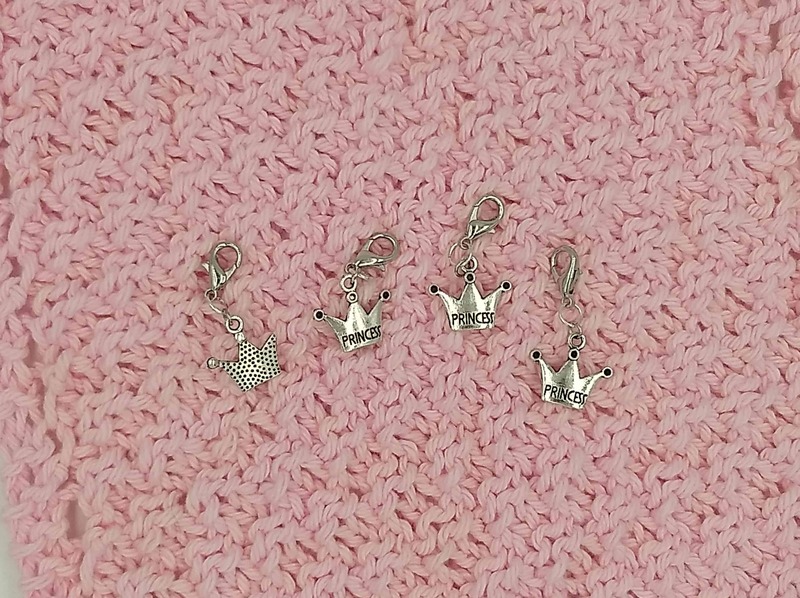 Show off your Princess status to the world with this adorable crown-shaped stitch markers. 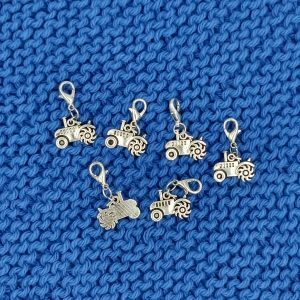 They work as removable stitch markers and progress keepers. Each marker comes with a lobster style clasp for easy re-positioning on fiber projects.